Check out this and many more helpful PDF Guides at <a href="http://balancedbites.com/"balancedbites.com. Even if you aren’t going to take this super seriously, we can all benefit from becoming more aware what’s in the foods we eat so I encourage you to give it some of your time. 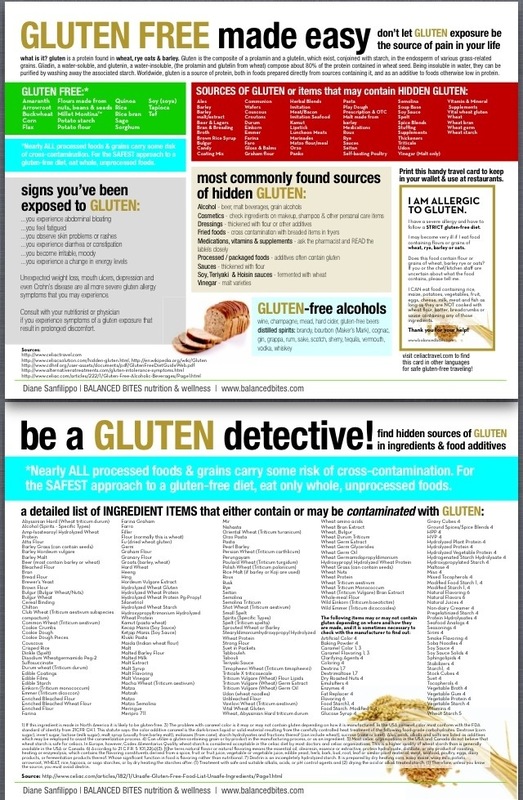 Good luck to all the gluten detectives out there!